Benefits of "Zoe's One Month Detox"
Reduces constipation, improves bowel movements and digestion! Stories of transformation from our customers who achieved their goals! 8 Day Detox plan worked for me so visibly! I got so many compliments!! Spirulina is a blue-green algae which is one of the most nutrient-rich foods on earth. Our 100% natural and 100% organic face mask leave your skin glowing. Face Protection With Spirulina Superfood - Amazing! 3-In-1 Juice Pack - Amazing Taste And Super Delicious! 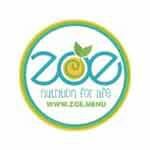 Zoe's Flat Belly Juice curbed my hunger pangs & helped me lose weight!